Each year, students who enter colleges and universities for the first time are faced with a number of opportunities and potential obstacles related to their academic success. 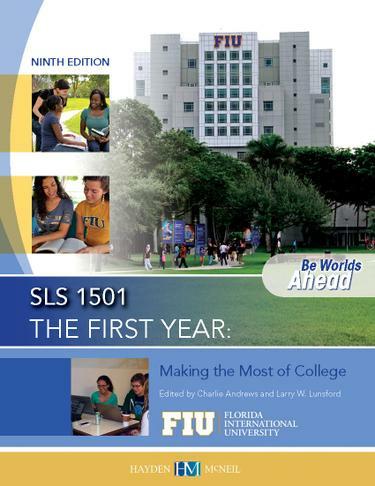 In this textbook, which was developed and written by a group of seasoned higher education professionals, new FIU students are provided with valuable information and resources related to making a successful transition to college life. The book provides information tailored specifically to life at FIU, testimonials from current and past FIU students, and a number of activities and exercises that help students reflect on how to make the most of their first year.